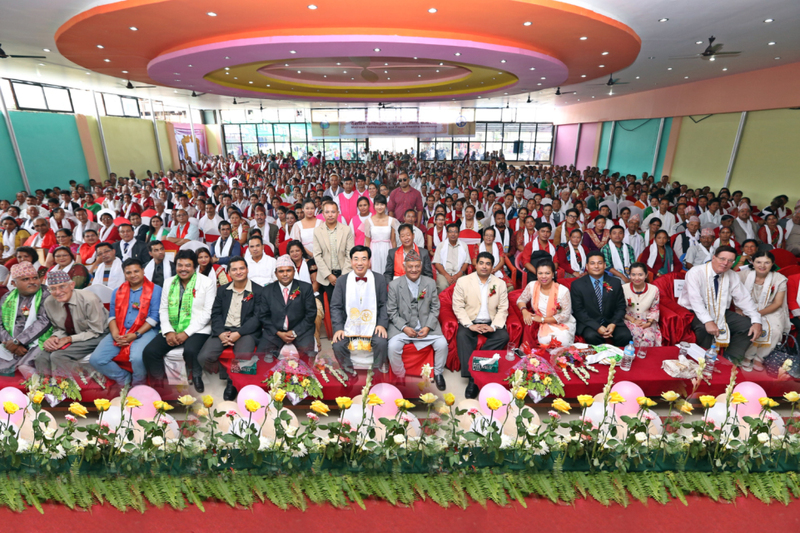 Jorpati (Kathmandu), Nepal—An overflow crowd of 1,500 people packed a marriage hall where couples rededicated their own marriages together in Jorpati, Nepal (on the outskirts of Kathmandu) on Saturday. There were 612 couples officially registered couples (those who filled out the registration form and had their photo taken). 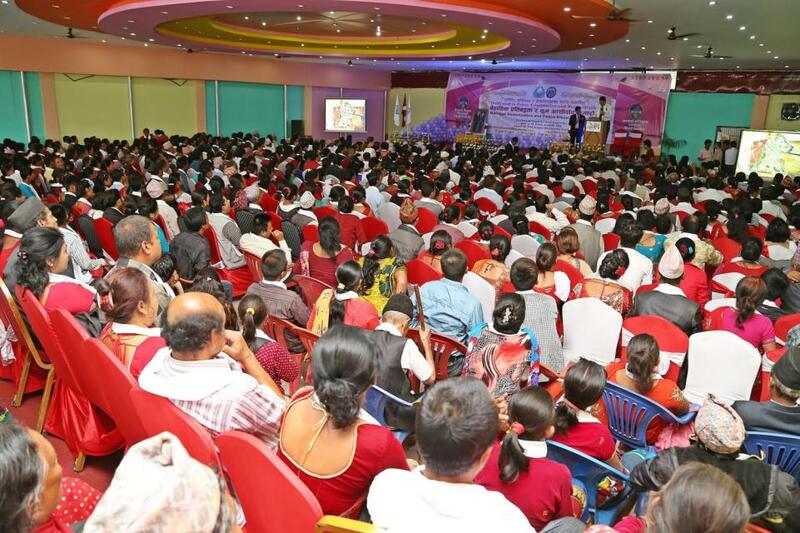 Prime Minister Chand praised the organizers, the Universal Peace Federation (UPF) and the Family Federation for World Peace and Unification (FFWPU), saying they are not just talking about building better families, but conducting many substantial programs to accomplish this goal and vision. 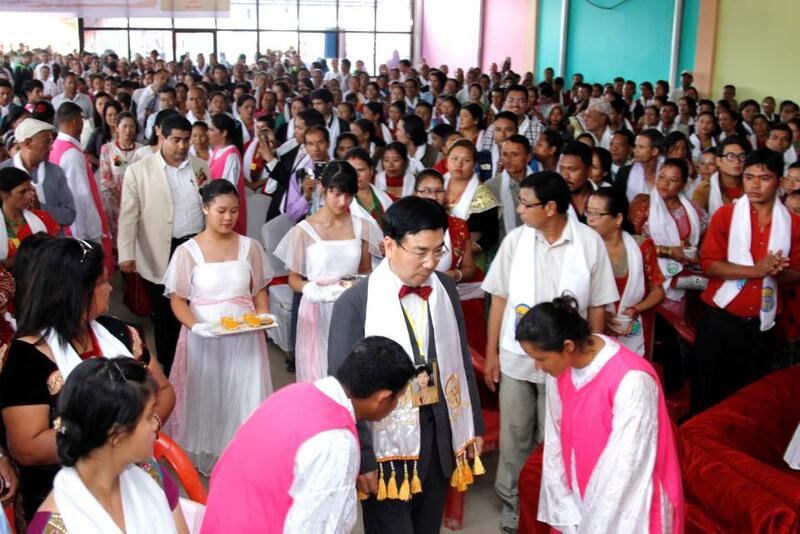 This marriage rededication ceremony was unique; it was conducted in an interreligious environment and among numerous ethnic groups. 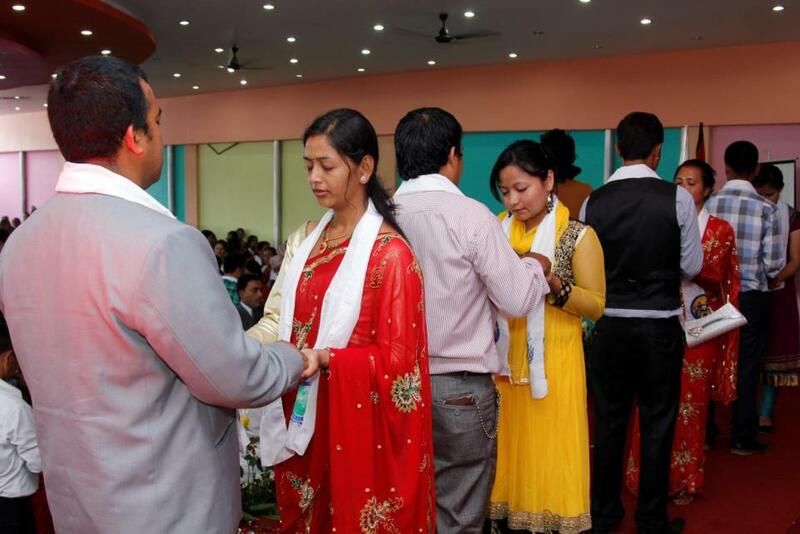 Traditionally, a marriage is centered on one religion and one family. 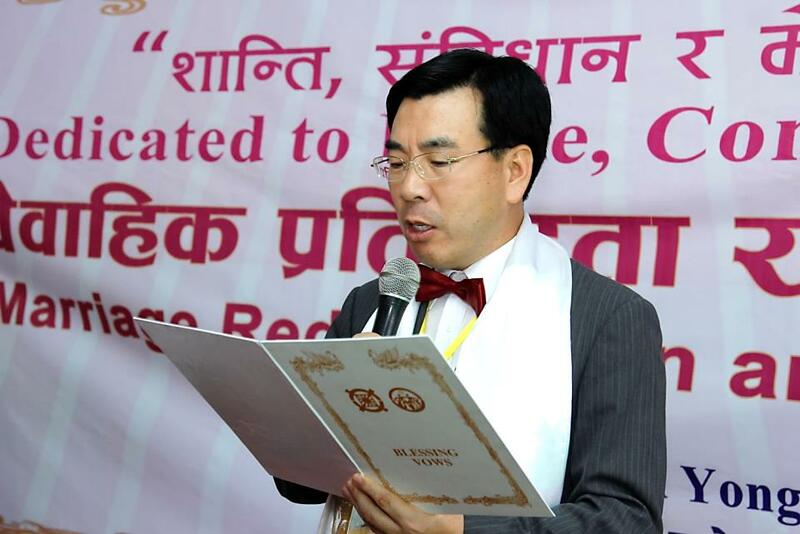 This was the 26th such event in Nepal over the past one-and-a-half years, and the largest ever. This prototype is expanding rapidly especially in Asia where marriage and family still have a strong social standing despite having come under attack in several Western societies. 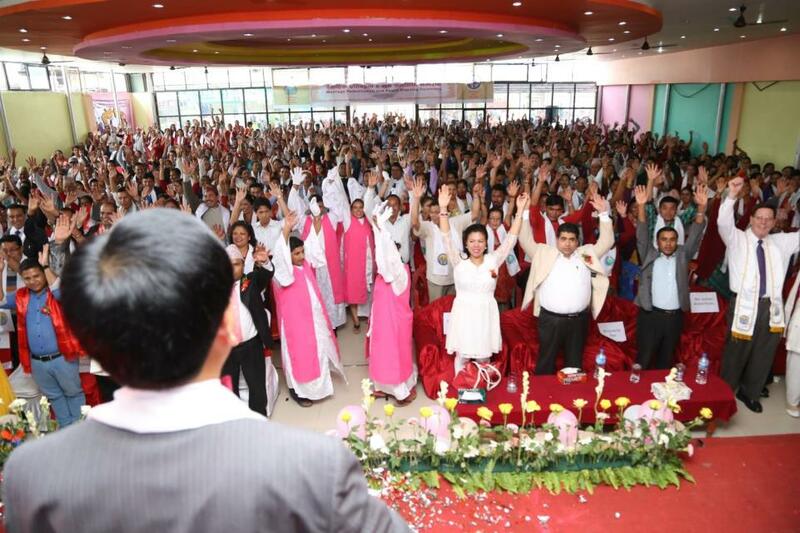 “When the institution of marriage is recognized and honored at all levels of society by everyone—parents, children, religious leaders, educators, politicians and the media—then a marriage-friendly culture can be created,” Dr. Chung Sik Yong, the Regional President of UPF-Asia, said later. 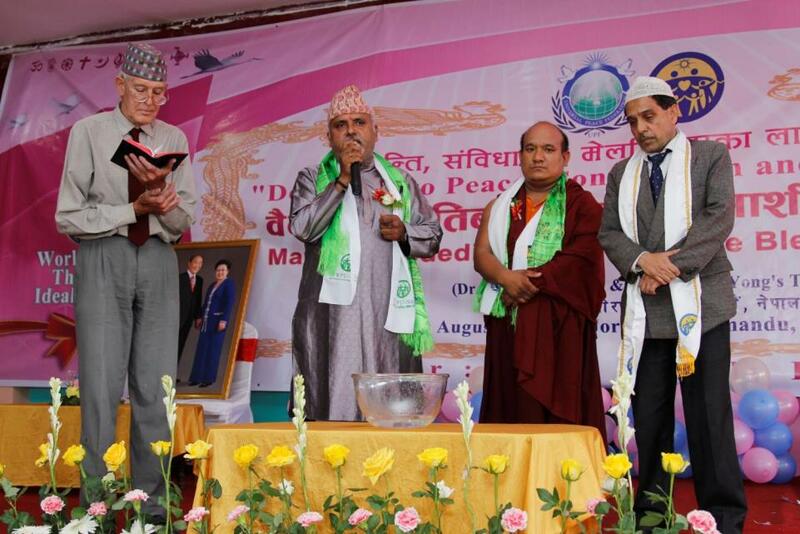 This tradition of interfaith peace blessings was initiated by the UPF and FFWPU Founders, the late Rev. Dr. Sun Myung Moon and his surviving widow, Dr. Mrs. Hak Ja Han Moon, of Korea. This is the monsoon season and it rains nearly every day; even the day before it poured day and night. The day before the Blessing three weather forecasts predicted thunderstorms for Saturday, Aug. 8. Miraculously, however, it only rained a little in the early morning and in the afternoon the sun came out. Later that evening another historical event unfolded. 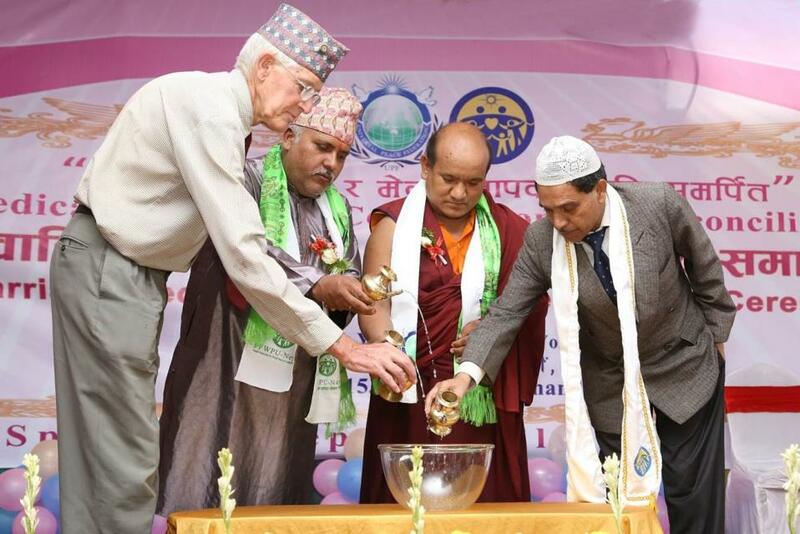 Eight years of political deadlock were overcome as lawmakers from four major political parties agreed to the boundary lines for six states in Nepal. The agreement came after a marathon meeting in parliament that went well past midnight. Still, this was not until Hon. 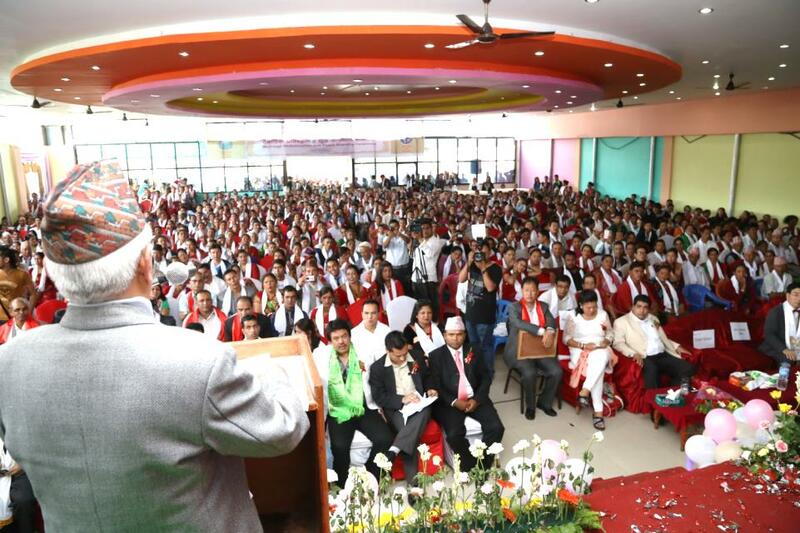 Ek Nath Dhakal (Member of Parliament, President of the Nepal Family Party and former Government Minister), rallied lawmakers from the minor parties and challenged the major political parties to come to an agreement that day.